Free Shipping. Please fill up the FORM so the gift card can be shipped to you. Two (2) cash vouchers worth RM10 each will be delivered to you. 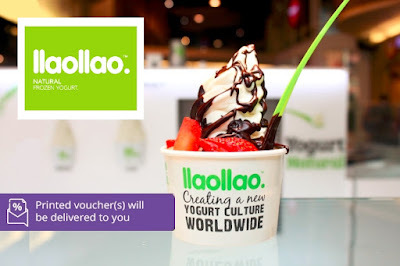 llaollao will not replace lost, stolen or damaged vouchers. Llaollao reserve the right to change the Terms & Conditions of this voucher at any time. This voucher is valid until 31 December 2017. Door-Buster Deal is limited to 1 unit per person only.